Orica has announced the addition of a suite of new, industry-first features to its Digital Blast Optimisation Platform, BlastIQ to drive productivity and blast outcome improvements. Developed to bring additional capabilities and help reduce the overall cost of drill and blast operations, the new BlastIQ features provide smarter real-time insights and multilingual support, improved on-bench quality control with loading design application, and increased accuracy and efficiency of explosives delivery through seamless connectivity and integration. Orica said improvements to the BlastIQ user interface allows real-time access to the status of each blast through the centralised online BlastIQ Platform, enabling users to collate and collaborate on data from across the drill and blast process. It said insights are easily interpreted from data gathered with new visualisation features, accelerating planning, analysis and auditing of blast data to satisfy regulatory requirements. The multilingual support has also been expanded to include Spanish, French Canadian, Russian and Portuguese, facilitating broader access and adoption of BlastIQ for more customers around the world. 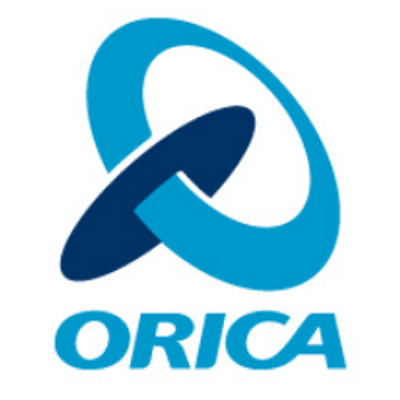 Additionally, Orica said the BlastIQ Mobile technology now provides a wider set of loading conditions through the seamless integration of loading rules, increasing on-bench quality control management and productivity. “Continuous loading rules can now be applied to blast holes in real-time, even in areas without bench wireless connectivity, creating efficiency and quality gains on-bench,” the company said in a statement. Orica has also significantly enhanced the accuracy and efficiency of explosives through real-time synchronisation of blast hole data between its Mobile Manufacturing Unit (MMU) and BlastIQ. Using this data, Orica’s smart, connected delivery systems load the correct explosive type and quantity according to the original design, adjusted based on blast hole condition measurements and the automated application of a defined set of loading rules managed by the drill and blast engineer,” reads the statement. Orica Global Digital Product Manager, Angelo Labriola, said the new BlastIQ features will help customers reduce the overall cost of drill and blast operations, and to improve operational productivity and safety. “Every day around the world, engineers design blasts and those blast outcomes impact as much as 80% of the Total Mine Processing Costs,” Mr Labriola noted. “The process of designing blasts, adjusting designs for real conditions encountered in the field, and understanding the outcomes of blasts is a manual, time-intensive task involving multiple inputs. Optimisation efforts suffer due to lack of time and tools to support that objective in the face of daily operational demands.